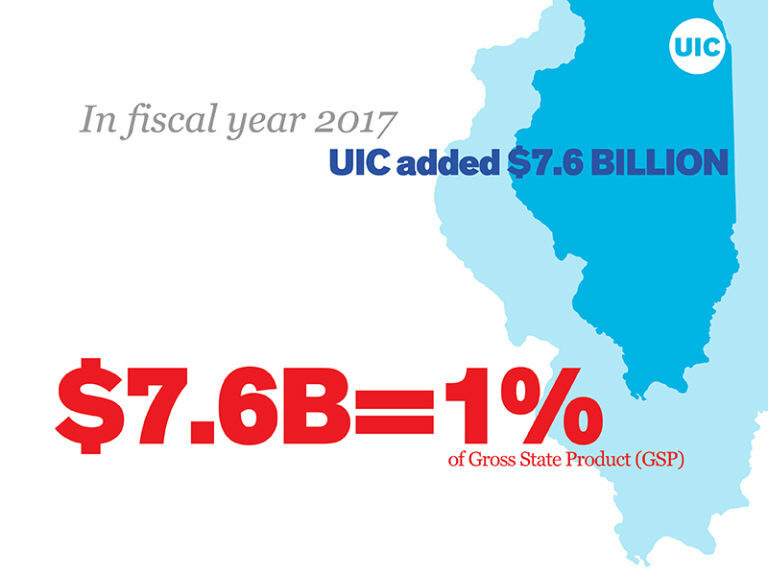 The $7.6 billion overall impact of UIC on the state is larger than the entire Arts, Entertainment & Recreation industry in Illinois and supports 73,559 jobs. 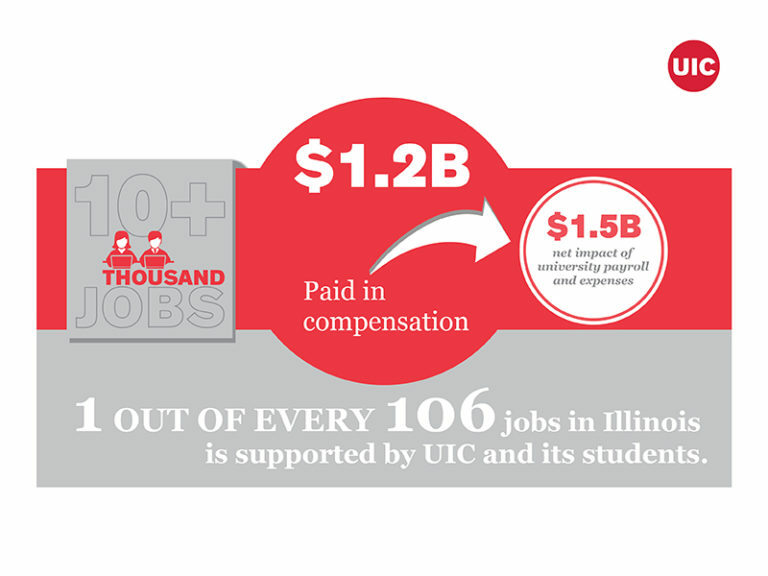 With 7.8 million jobs in the state, this means that one out of every 106 jobs is supported by the activities of UIC and its students. 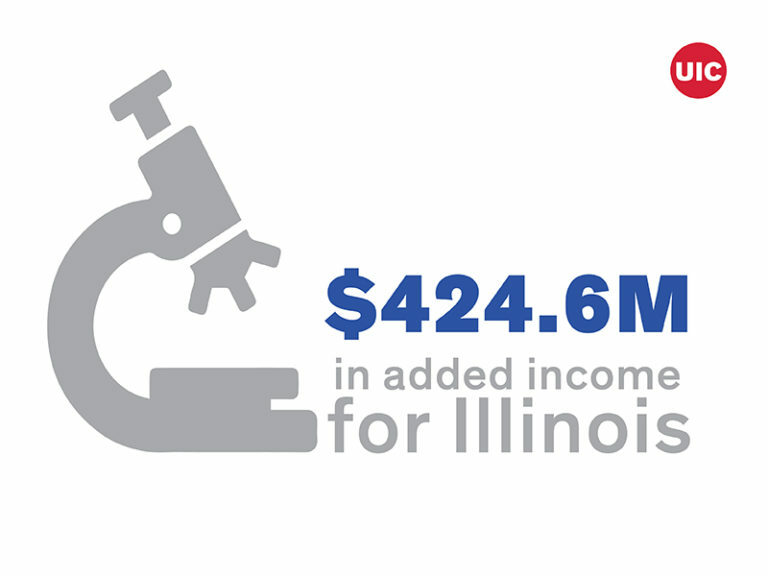 The impact of UIC’s $424.6 million in research spending on the state economy is equal to supporting 4,370 jobs. 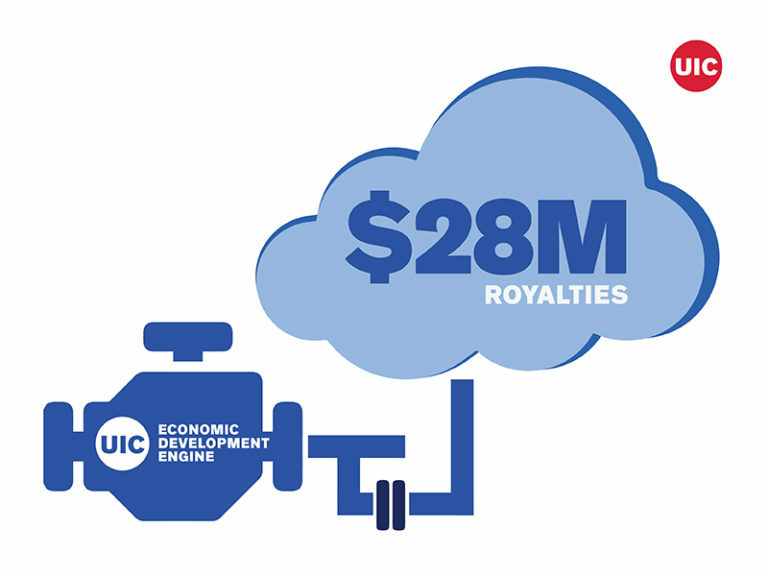 In the last four years, UIC has received 624 invention disclosures, filed 199 new U.S. patent applications and produced 212 licenses.  UIC’s 16.5% annual rate of return for students shows that there are life-long benefits of attending UIC and for every $1 invested, students receive $5.30 in higher future income.